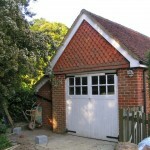 Readers will note a number of garage conversions – not something that architects tend to get involved? 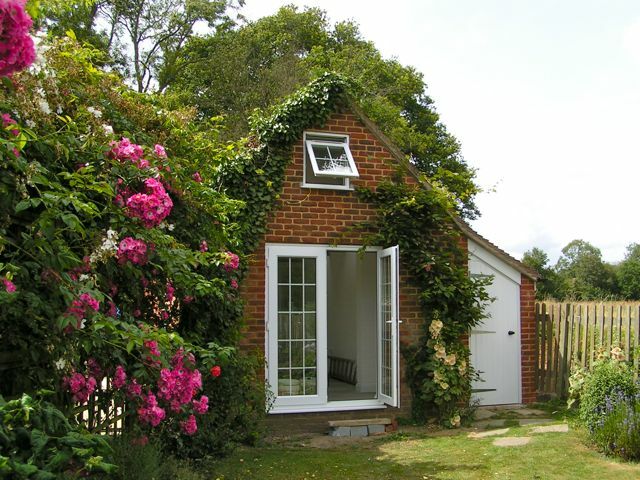 In our case we believe that we can add considerable value to the standard conversion, and we love the challenge! 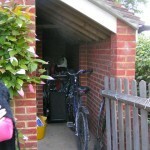 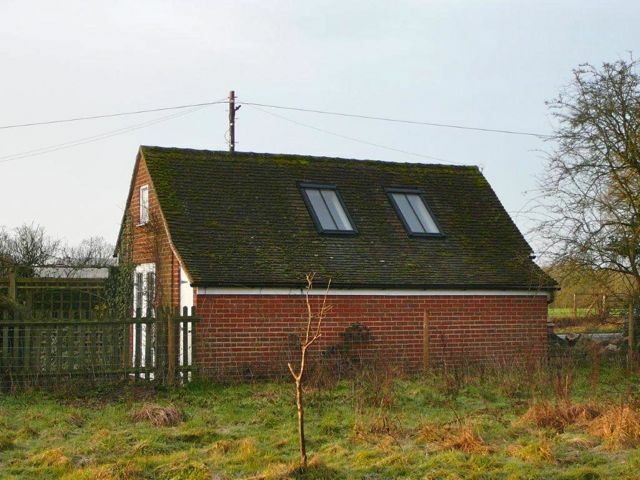 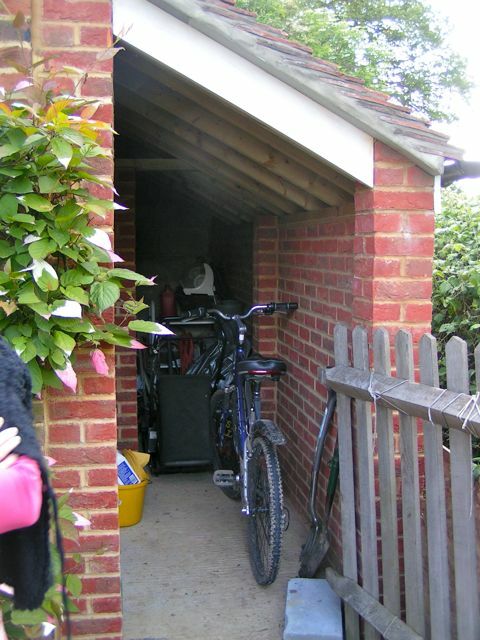 This small, snug country cottage had a detached double garage that was cold, draughty, dark, and full of junk. 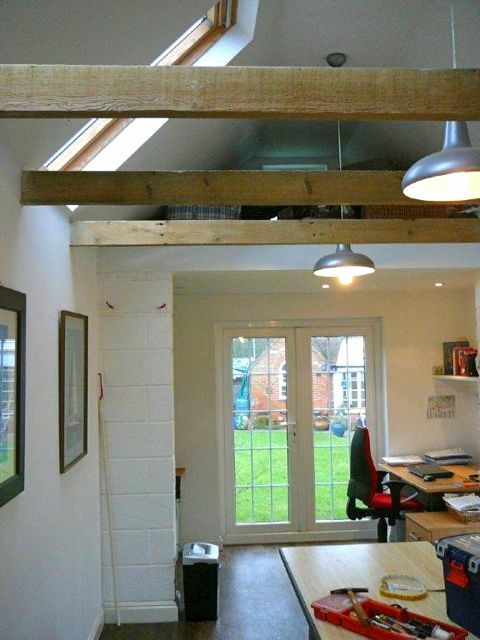 The owners wanted it as a ‘den’ in which the husband could have an office zone and his wife could carry out her upholstery hobby, requiring excellent lighting. 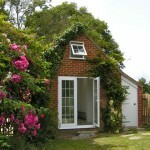 In addition they needed the storage space and a kitchenette. 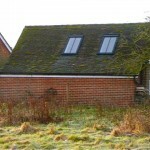 The setting was within a Special Site of Scientific Interest (SSSI) and a local Green Belt, and LA planners were fiercely opposed to any change of use, even to the insertion of two ‘Conservation rooflights’. 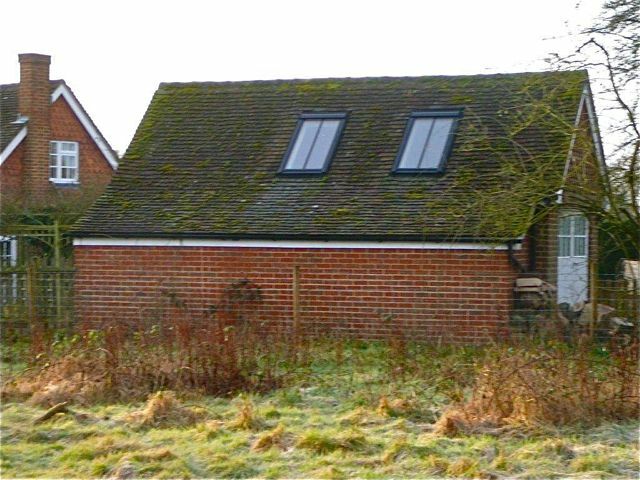 We had to take this project to a Planning Appeal, which we won, with the local authority criticised by the Inspector for their objection. 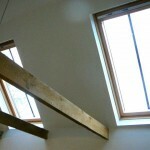 The trick was to minimise changes to the exterior, especially on the open country elevations. 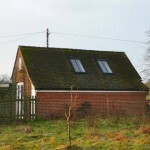 Insulation throughout (non-existent before) was to higher than required standards, and the side facing the field was extended to form two stores. 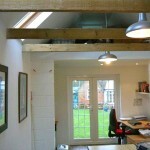 A partial loft-platform was created over an office area, and behind the retained garage doors a sliding double-glazed screen was inserted to enable full access, opening on sunny days, without any apparent change from the outside (when not being used no one – especially thieves –would know it was not a garage). 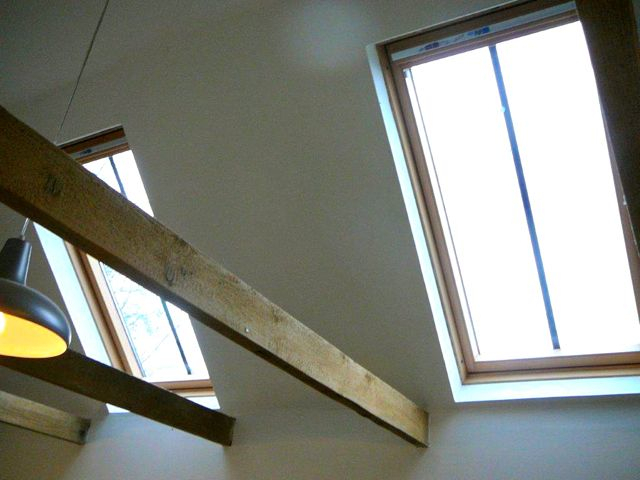 A solid timber floor and pure white interior, coupled with two Conservation rooflights, produced a cool, well-lit interior, all for about £23k. 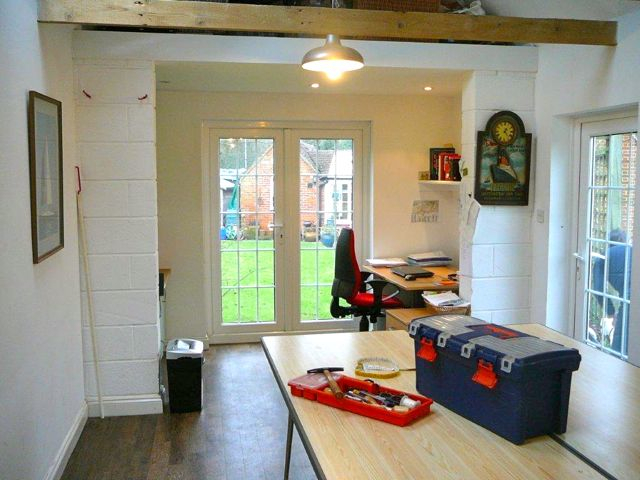 “The garage conversion that Stephen undertook for us has been a complete success and enabled us to make use of what was a dead storage space. 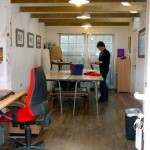 Stephen quickly understood our needs and provided designs ideas for us to evaluate. 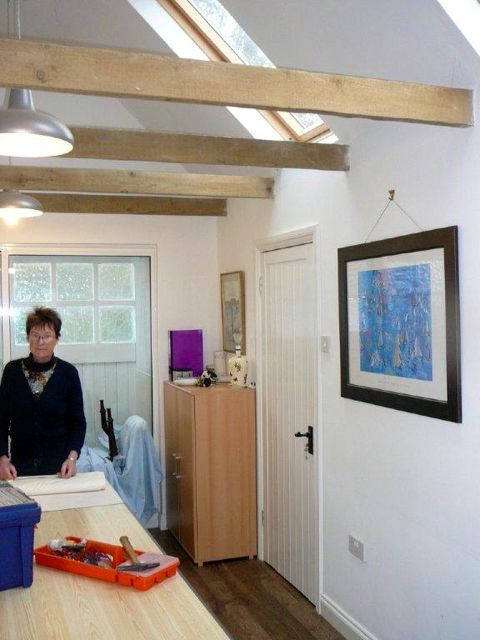 Whenever we needed input on the design and build he was quick to respond and this meant we could rely on him to keep the project on time and budget. 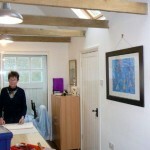 We are delighted with the result and everyone comments on what a great space it is. 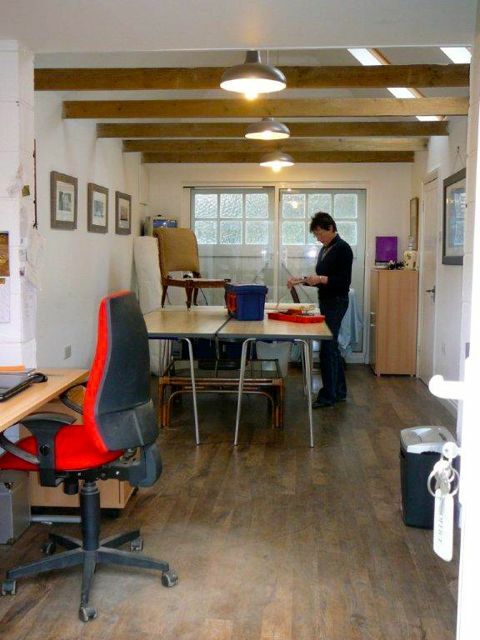 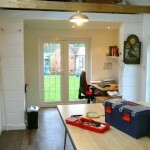 We generally used it as a home office and studio but it has also been used for parties. 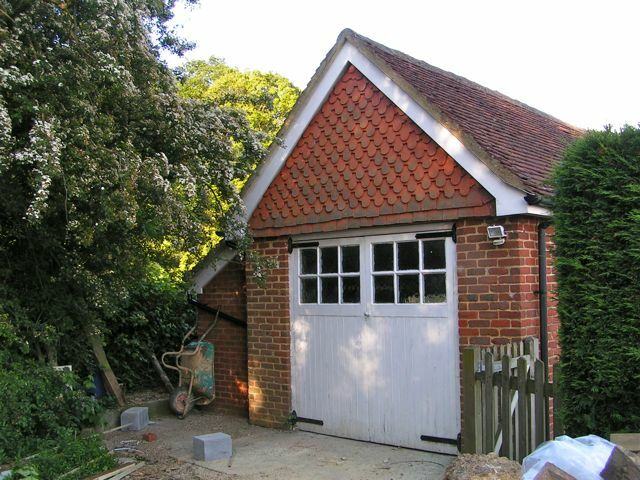 Stephen helped us to solve a number of problems and we still have a good storage area because an extension was created without spoiling the aesthetic of what is an attractive tile hung building.